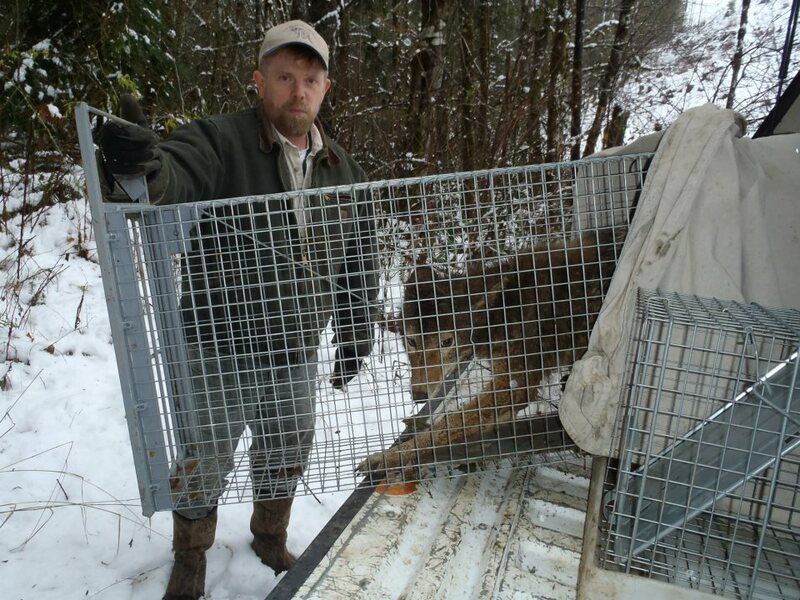 Have you been seeing coyotes around your Oregon property? Have neighborhood pets suddenly been disappearing? You could be dealing with a Nuisance Coyote Problem, but don't worry CCP Wildlife Control LLC can handle all your Oregon coyote problems. In Oregon nuisance wildlife are becoming more and more present in urban environments. These animals have adapted very well to living with and around people, but that can cause dangerous human-wildlife conflicts. Coyotes are one of the most common nuisance wildlife that can be found in neighborhoods all around the Portland Metro area. The main concern about coyotes living in neighborhood area is that if they lose there natural fear of humans it can lead to attacks. Also it is very common for coyotes to attack and eat neighborhood pets because they are an easy prey. Coyotes in Portland neighborhoods can be removed, but it must be done by professionals to avoid dangerous situations. Coyotes often become sick when they live in cities and neighborhoods or they can move into these cities to find easy prey because they are sick. Common signs that an Oregon coyote is not healthy is if it has patches of fur missing, looks skinny, and is not afraid of people. 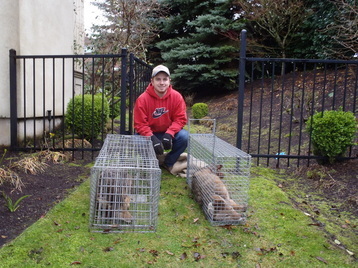 For Portland, Oregon Coyote Removal Call 503-201-2432! Coyote Raccoon Skunk Beaver Squirrel Mole, Gopher, or Vole Rodent Bird Bat Dead Animal Removal Attic Clean Out or Sanitation I have NO idea!! Coyotes can have litter sizes from 1-12 depending on current population in that area. Coyotes are very adaptable and that is why they are so common in urban areas. If you have an Oregon Coyote Control problem cal 503-201-2432 today!